A special hello to all you knitters out there! 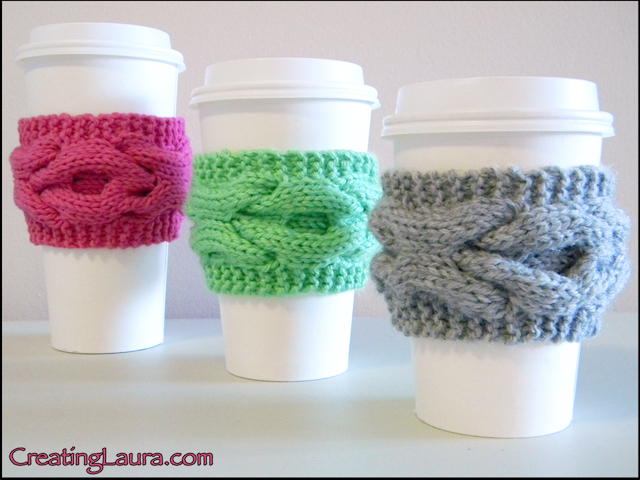 Today I'm excited to share with you a fun and easy pattern that I made up. 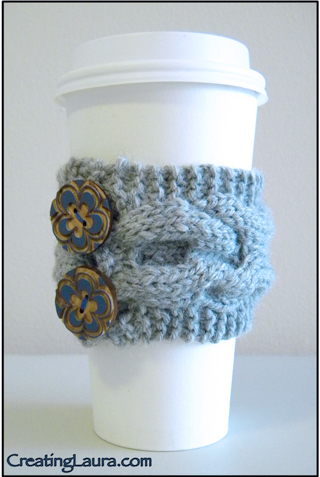 It's a knitted coffee cup sleeve with my favorite sign-off message on it: xoxoxo. You can use any worsted weight yarn for this project, just make sure to go down a needle size from the one recommended so the stitches will be nice and tight. I used Lion Brand Wool-Ease worsted weight yarn and size US 7 needles. This is a quick knit that uses less than one skein of yarn. 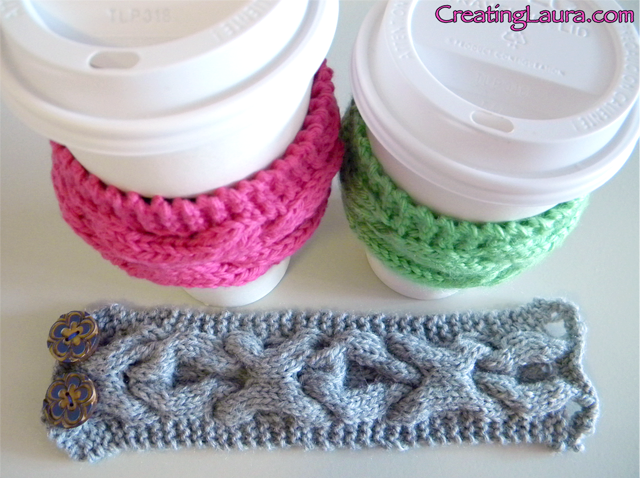 The goal is for the sleeve to say xoxoxo with a 3-stitch ribbing on either side. C8F: Slip 4 stitches from the left hand needle onto a cable needle, holding the cable needle in front of the main knitting. Knit the next 4 stitches from the left needle, then knit the 4 stitches from the cable needle. C8B: Exactly the same as C8F, but hold the cable needle behind the main knitting. Now all that's left is to sew on a couple of buttons, slip your new sleeve onto your coffee cup, and enjoy!